A N Shamseer Vadakara 2014 LDF candidate profile and biography is given here. A N Shamseer who entered politics while as a school student is a well educated person who has assumed the post of State Secretary and also all India Joint Secretary of Students Federation of India. Shamseer is currently the Joint Secretary of Democratic Youth Federation of India (DYFI) and all India Vice President of DYFI. Read more to know about A S Shamseer. A. N Shamseer was born on 24th May 1977 at Vayalalam, Thalassery, Kannur. After doing his elementary education from BEMP high school Thalassery, Shamseer completed his pre-dregree from Govt Brennen College, Thalassery. Other than a bachelor degree in Anthropology from Kannur University, A. N Shamseer also holds a master degree in Law from Kannur University. Shamseer who entered politics as a Students' Federation of India (SFI) activist during his school days rose to the leadership level of SFI right from school. He has shown his caliber as a leader protecting the interests and rights of the students. 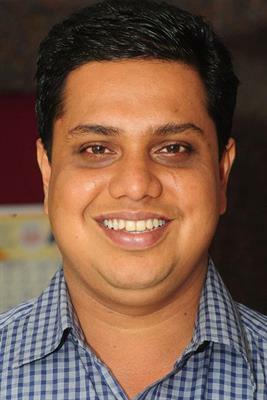 A. N Shamseer who became the Kannur University union councilor in 2002 was elected as the Union Chairman in the same year. After being elected as the state secretary of SFI in 2007, Shamseer was credited with the post of its National Vice President in 2009. He was also elected the DYFI Kannur district president in 2011. Led many struggles as a student union leader, A N Shamseer was elected as the the first chairman of Kannur University. To give full time support to social work, he became much active in politics. Other than focusing on party politics, the young politician is keen to partition his time for a palliative care centre based at Kannur which stays supporting the cancer patients with Shamseer working as its chairman. A N Shamseer has led many different struggles against various UDF governments as an SFI leader. A. N Shamseer who is currently the president of Thalassery Co-operative Hospital has shown keen concern over the welfare of the common people. Shamseer currently the joint secretary of Kerala chapter of the Democratic Youth Federation of India (DYFI), holds the post of Vice President of DYFI. He is also a member of CPI (M) Kannur district committee. In 2014, A N Shamzeer would contest the election from Vadakara giving a tough competition to his arch rivals who represent the Indian National Congress, BJP and AAP. Much interestingly college students, who hesitated to take part in open revelations, use Facebook and WhatsApp to convey their support to the young politician. A N Shamzeer was a surprise choice to many while the party kept high belief in him. The party leadership believes Shamsheer can win back its traditional stronghold.